The perfect book for anyone wishing to nurture creativity. Blaze of Colour: Embracing Creativity weaves together six content strands: personal narrative explores the creative process in action; current research and best practice; strategies for developing creativity; 90+ hands-on exercises for developing creativity and 18 colour book plates of original art. 17 chapters in length and Canadian in reference, this is a beautiful book to look at and to savour. Blaze of Colour: Embracing Creativity has been honoured as Shelf Unbound Notable Book in the category of Instructional Books from nearly 1000 entries in The Third Annual Shelf Unbound Writing Competition for Best Independently Published Book, an American competition for self-published and independently published authors. 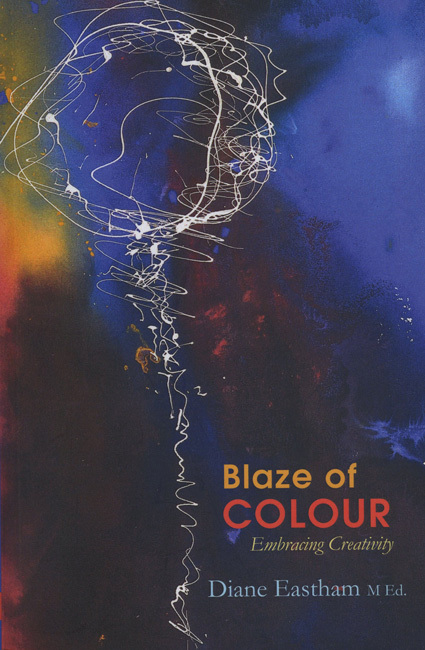 Blaze of Colour will be designated in the December/January 2015 issue of Shelf Unbound, and listed on the Shelf Media website. The book is available through Uptown Gallery, Waterloo Town Square, Wordsworth Bookstore, and can be ordered through me at $24.95 (plus shipping and handling if applicable). 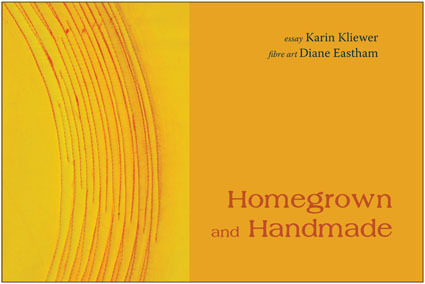 This limited edition chapbook, published by Judith Miller and Stonegarden Studios features text by Karen Kliewer and fibre art images by Diane Eastham. Cost is $20.00 per copy. To order copies, please contact me. 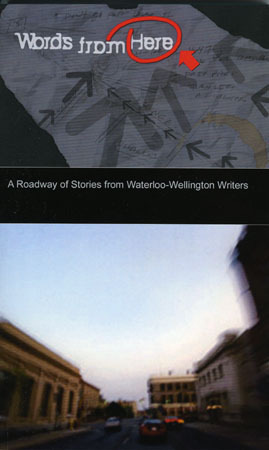 Words From Here: A roadway of stories from Waterloo-Wellington Writers (2008) anthology published by the Waterloo Wellington branch of the Canadian Authors Association. Edited by Veronica Ross, this book features a cover photo and essay "Dragonfly Kiss" about creativity by Diane. Cost is $15.00 per copy. To order copies please contact me. Edited by Beverly Down. 22 Stories revealed by Creativity Coaches on how to change obstacles and challenges into opportunities, inspiration and solutions. Features a story by Diane Eastham, "All the Colours of the Rainbow: Feeding the Creative Spark". This book sells for $18.95 US. and is available from the Creativity Coaching Association website.